Aged 16 Years, 8 Months, & 22 days. That he shouts for his sister at play! Written after the death of a close friend, these lines by Tennyson evoke feelings of loss, melancholy, and nostalgia. A perfect fit for the cemetery. 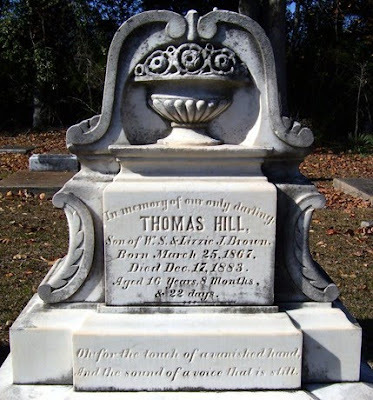 Thomas Hill Brown was laid to rest in Oak Hill Cemetery in Talbotton, Georgia.